The Varmint riflescope series is one of our most versatile and is available in a wide selection of sizes and reticles for many types of shooting including varmint hunting, target shooting, long range and precision shooting. All Varmint scopes feature an Adjustable Objective (AO) for parallax correction and unsurpassed accuracy as well as easy-grip extra high windage and elevation turrets. The Varmint’s large objective lens size coupled with multi-coated optics increases light transmission and provides superior clarity. 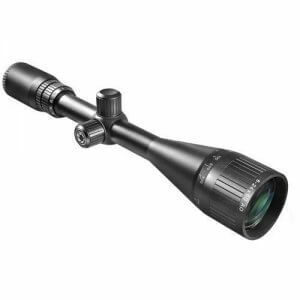 In addition, Varmints are available with a variety of reticle types including 30/30, Mil-Dot, and Target Dot. Waterproof, shockproof and fogproof, BARSKA’s Varmint Series is like having many scopes in one. Scopes include lens covers. Backed by BARSKA’s Limited Lifetime Warranty. 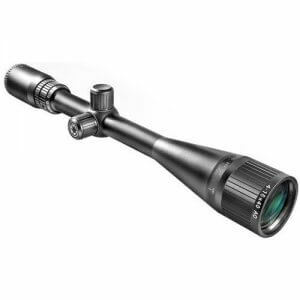 Barska firmly believes in the longevity of a productive day of hunting, and it has hired experts to refine the design of its riflescope products in order to ensure that they're the most comfortable, as well as the most accurate, such scopes on the market. That means hunters will gladly spend a few extra hours in the field and, while they enjoy the added comfort of a Barska Varmint riflescope, they'll also enjoy the added accuracy and more fulfilling experience they enjoy as a benefit of enhanced optics.